In the world of investments, a Financial Analyst is tasked with examining financial data and their findings help businesses make decisions. The sources of this data include the macroeconomic and microeconomic environments, along with data from within the company itself. Together these form a big picture view of the factors that influence investment decisions. 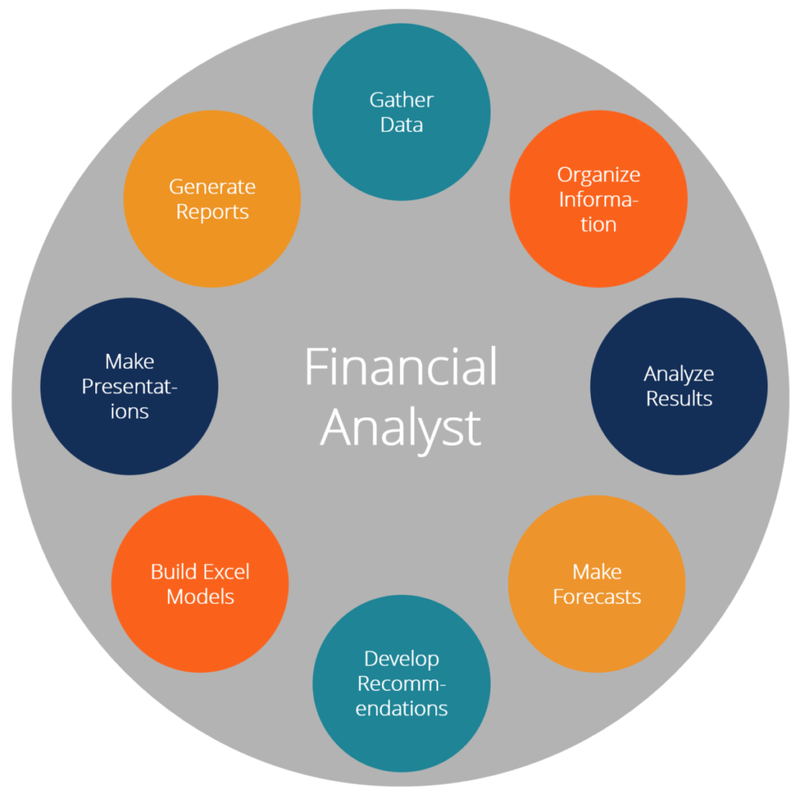 What are a Financial Analyst’s duties and responsibilities? In practical terms, duties will generally include the gathering of data, the organisation of data into standard or workable formats, and the analysis of results. Then, forecasts and projections are made from these results (for example, through regression analysis or year over year growth rates). Skilled Financial Analysts will use these analyses to make inferences that lead to insightful recommendations. Further tasks may include financial modelling by means of Excel, and presentations about their findings. There are different seniority levels of Financial Analysts and their job descriptions differ. Junior Analysts, for example, mostly start out with the former tasks of data gathering and keeping data up to date. If you are interested in becoming a Financial Analyst, it is important to know that there are also different types that are typically distinguished by the Buy side and the Sell side. On the Buy side, Financial Analysts help their employers with the decision of where to spend their money, be it through investments or buying properties for income. On the Sell side, their focus lies with the quality of securities in a given industry, and recommendations made on whether to “hold” or “sell” them. 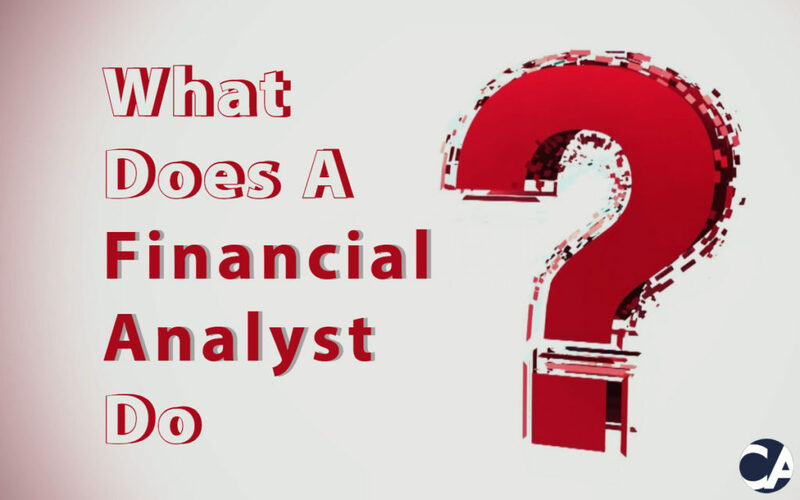 What do you need to become a Financial Analyst? 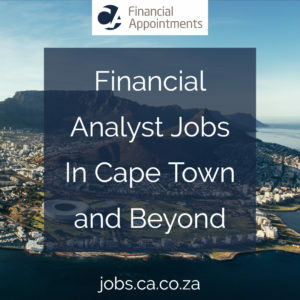 The qualifying process to become a Financial Analyst is not as clear cut as with a lot of other careers, but to start you would need a Bachelor’s Degree in fields such as finance, economics or statistics – anything analytical as this is by nature a highly analytical position. Further qualifications may include the well-recognised CFA (Chartered Financial Analyst) designation, for which there are 3 levels of examinations to write before you hold the charter. To enrol for the Level 1 examination, you must be in the final year or already hold a Bachelor’s Degree, or have at least four years of professional work experience, or have a combination of qualification and work experience that amount to a minimum of four years. If you love the world of finance and have an analytical edge, this may be the career path for you. Go ahead and search for our current Financial Analyst Jobs on our job board. Search for ‘analyst’ to find the different varieties.